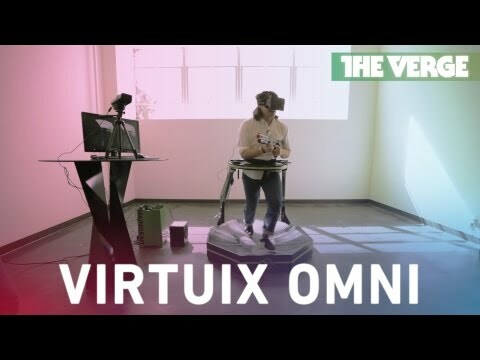 Where can i find a Virtuix Omni Controller for Kinect Please? I need a setup of the driver that uses kinect as sensor of motion, i don't have the tacking pods used by new software of the omni, if somebody here can help me, send me the older software of omni for download please! That was most likely during their proof of concept / venture capitol rounds. They never released that to the public and I doubt they ever would. This is not the Virtuix one but the Wizdish one from the same time. Both did the same thing : translate movement seen by kinect into 'w' strokes on the keyboard. Thankfully both systems now use much better tracking ideas now since before you could not turn without moving forward. when did Omni ever use the kinect? It does seem like it should be a feasible method of tracking, but I don't recall Virtuix ever putting out any drivers like that. Are you sure you have the right company? I wonder if that was not based on some open source code out there, maybe on source forge? FAAST is a program similar to the one used in the video, it emulates the movements captured by kinect in directional commands of the keyboard, I'll try with it. @Gustavo1995 - yeah, I was going to point out that the video you linked to was back when Virtuix still used capacitive tracking. The Omni's haven't had those grooves in them since updating to the pods, and there have been several software updates since then, so it's possible that while there may have BEEN a tracking system that used the kinect, it may not even be compatible with the rest of Virtuix's software anymore. Thanks a lot man, i've been searching this for a long time!